Seekonk Youth Soccer's Fall Recreational Program is open to children of Seekonk residents from kindergarten age through middle school. The program is designed to teach youngsters the fundamentals of the game, develop good sportsmanship skills, and compete in a fun and friendly environment without the competitive or travel element associated with our Black Goose program. All activities are held at the Cole Street Athletic fields. Games are played on Saturday mornings ranging from 8am - 12pm and usually run approximately one hour. Practices will be held at the coaches discretion in coordination with the league and town. Seekonk Youth Soccer's Black Goose Program is a competitive travel program where Seekonk teams compete against other town teams from Southeastern Massachusetts, the Cape and Islands. SYS affiliation with the South Coast Soccer League provides for this great opportunity. The fall season starts in September and runs through the beginning of November. There are typically an even number of home and away games that players, coaches and families should commit to attending. This program is open to all children provided there is space and a team for their age group. Teams are built on a first come, first serve basis until the roster requirements are met. Once a team's roster is full, players will be wait-listed and potentially released until numbers are great enough to field a second team. Try outs will be held and evaluated by a neutral third party if numbers are large enough to field more than one team. Players are never turned away for skill. Practices are held at the coaches' discretion in coordination with the league and town. The Black Goose Program focuses on player development with the goal of producing highly functioning teams. Players who have solid skills, greatly enjoy the game and are willing to put forth a high level of commitment to improve on existing skills should join. Applicable age groups range from U8 to U15, where players must be 7 years old prior to August 1st of the forthcoming season and in 2nd grade in order to participate. For the U8 thru U10 age groups, at the end of the season, each team has the opportunity to play in a Friendship Tournament regardless of where each team finished. For the U11 thru U19 age groups, teams who do well in their divisions have a chance to compete in playoffs. An increased level of commitment to both practices and games in the Southeastern Massachusetts region, including destinations on Cape Cod and the Islands, is required for participation. Games are scheduled in conjunction with SCSL. Practice times are designated by coaches and the league and are mandatory. 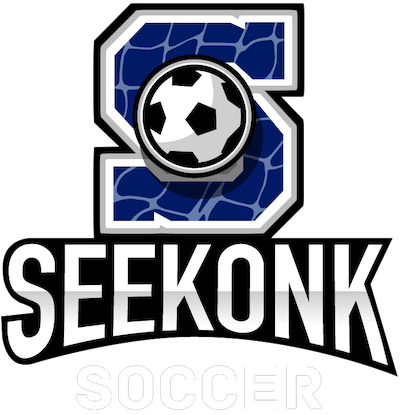 Further, the league mandates that new players to the program complete at least one season of Seekonk Recreational Soccer (or show proof of a comparable program from another organization) prior to joining Seekonk Black Goose.